Our best wishes for 2018, it’s going to be a big year -and if we work hard and organize smartly, a year of progressive victories from the local level all the way up to Congress! First surprise of 2018: you’re about to get a ballot! 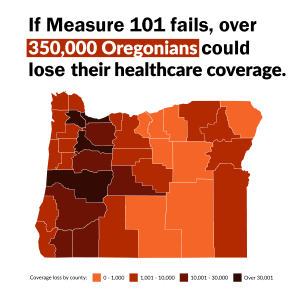 The future of public healthcare in Oregon is at stake in a special election on January 23rd. Join us on Tuesday, January 2nd, 5-8 pm, to call and text Oregonians and ask them to vote YES on Measure 101! Phonebank is from 5-8pm at Oregon AFL-CIO at 3645 SE 32nd Ave (it’s okay to come after 5). Celebrate the holidays early with BerniePDX! 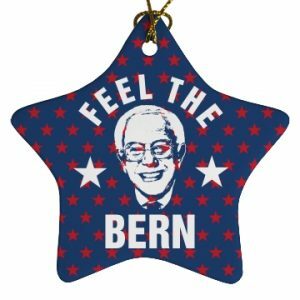 Tuesday, December 19, 6:30 – 9 pm: Holiday Party with BerniePDX! Celebrate the holidays early with BerniePDX! Come to our White Elephant gift swap party, bring a new or lightly used gift to swap or steal with other BerniePDXers! Wrap it first so it’s a mystery! But you don’t need to bring a gift to attend! We’ll have food, drinks, and excellent company. Location: Tea Chai Te’s new location – 616 E Burnside.